Nothing comes even close to the fascinating beauty of space. All those planets, stars, satellites and rockets are the attributes of space that we love so much. Thanks to the technological advancements in the field, any space enthusiast can now explore the night sky by just sitting at their computer. Owing to its popularity, space inspired website designs have become a favorite among web designers. Such websites always. 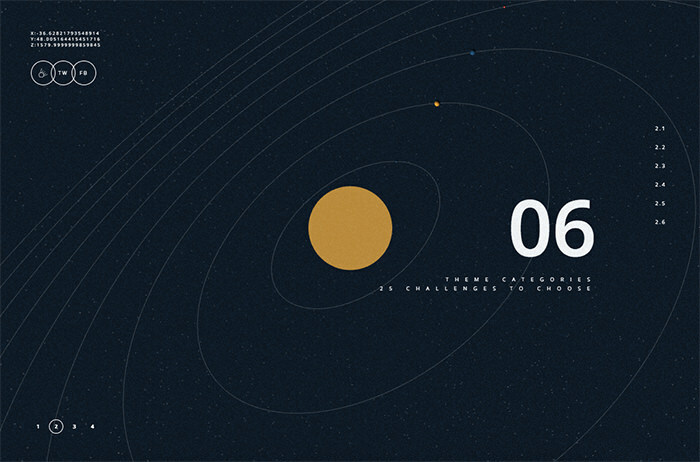 In this post, we have put together a collection of 20 fantastic space theme websites that look mysterious with a certain depth in their design. Let us take a look at these amazing websites brought to life by talented web designers and developers. 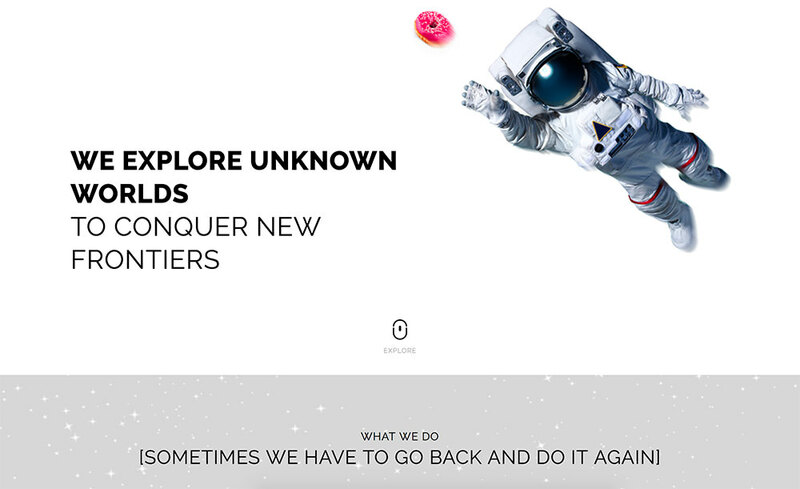 4por4 shows the space as a white background with an astronaut catching donut. The design is made in minimalistic and stylish details. 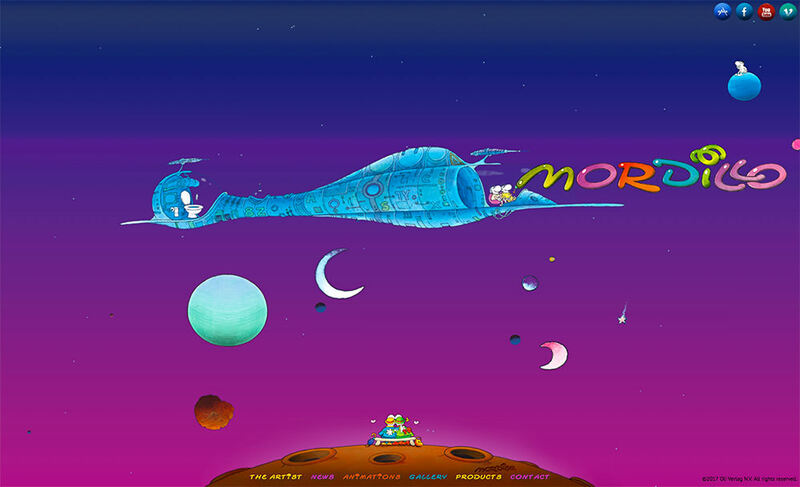 Minicool is a fun illustrated website where a flying saucer is floats when you scroll up. 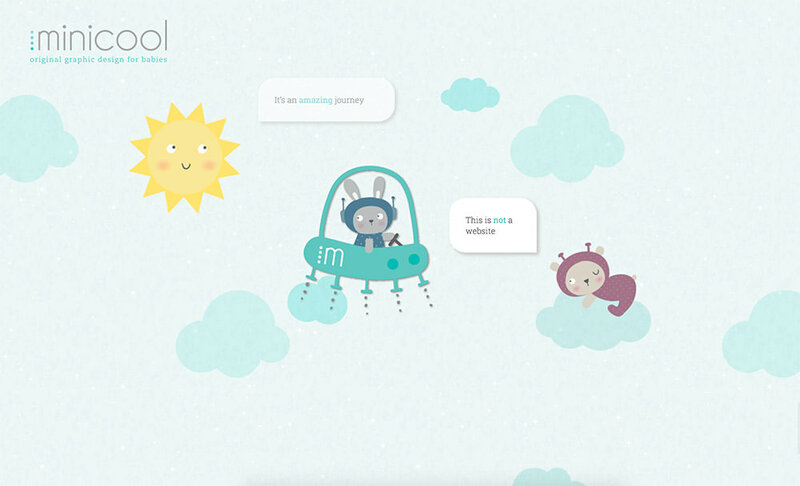 It’s a promotional website for a book for kids using illustrations and muted colors. It is the website for the NASA Space Apps : Greece. The website is in 3D version meaning that you can move inside the three-dimensional space which looks almost like a real one. 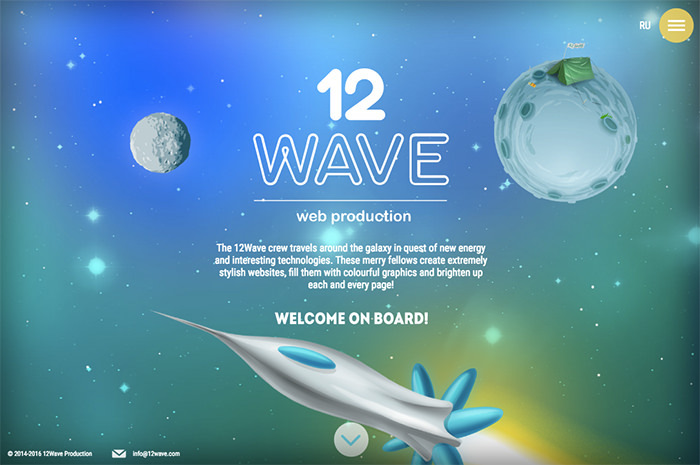 12Wave is a company which specializes in creating websites with interesting effects and animations. The website is not an exception, so feel free to visit it and scroll down to see it in all its beauty. 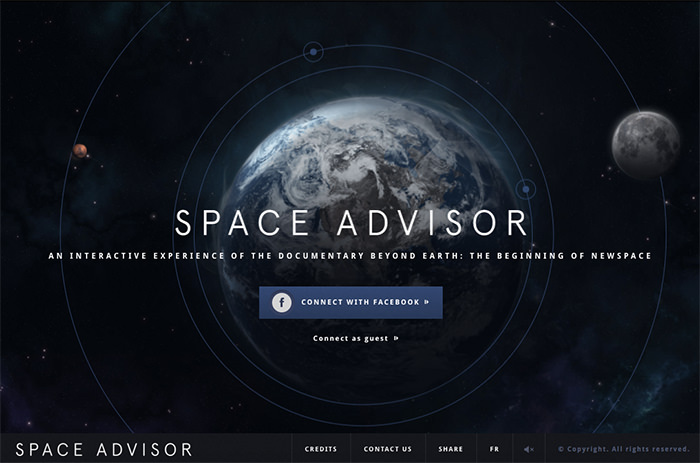 It is the interactive experience of the documentary movie “Beyond Earth”. It’s an exceptional website through which the user can explore space in a 3D experience. Easy Rocket Studio is a company which assists new sports brands in launching their websites. 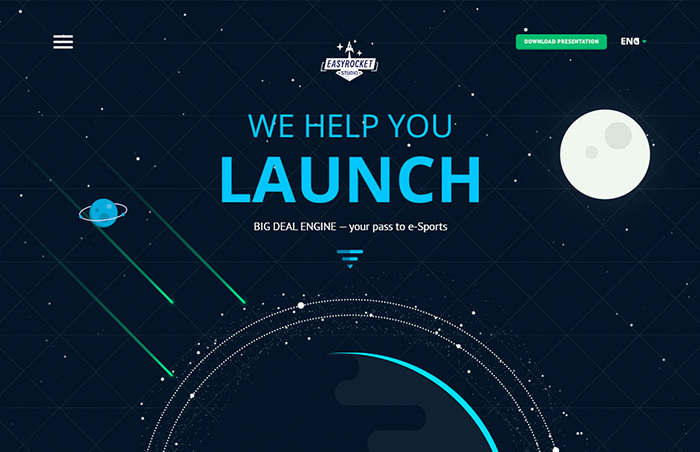 Each element of a site is designed in space theme with high-quality illustrations. Don’t miss out their creative loader which is a flying saucer pulling up cows. Thanks to the color palette and cartoon characters, Mordillo has a retro design. 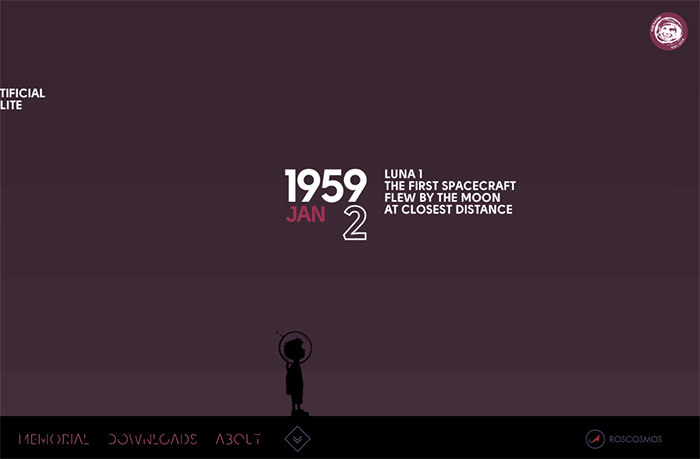 It is a space-inspired portfolio website of an Argentinian illustration artist. This website is about an Overview Effect – an effect when an astronaut goes to space and sees the Earth. 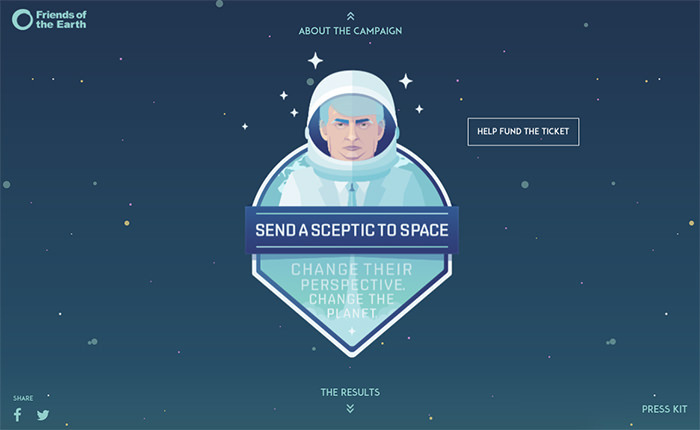 People from 120 countries choose a person to change his perspective and send him to space. 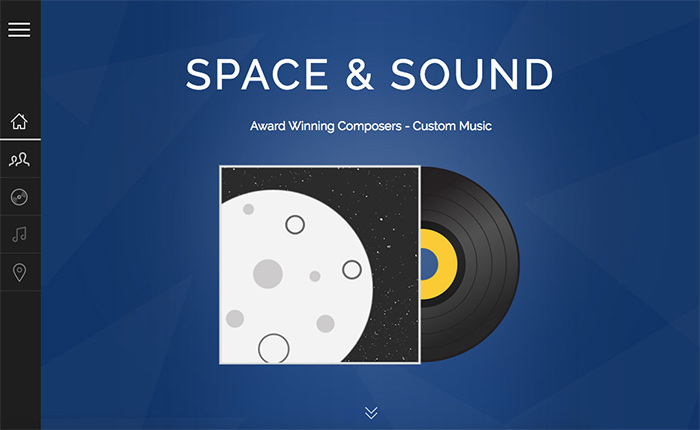 Space and Sound has clean, dynamic and interactive interface. Go to the website and scroll down to see it in action. 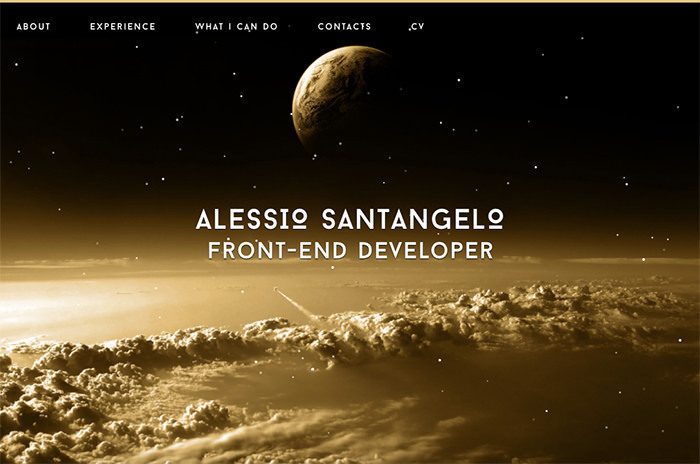 This is a portfolio of a talented web developer Alessio Santangelo. The futuristic image of space on the homepage drives attention from the very first view. 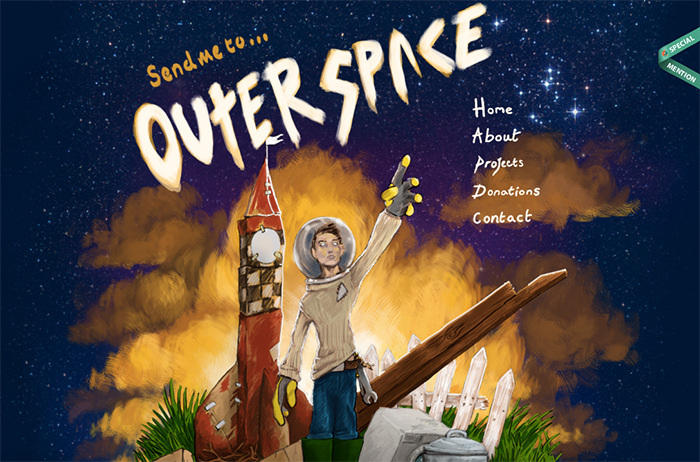 Send me to outer space is a website created by a regular boy who dreams of going to space. He wants the public to help him raise the money and actually go to outer space. 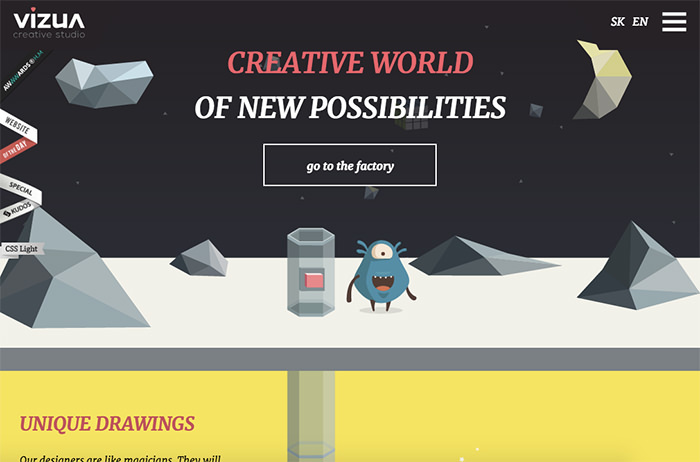 Vizua is a creative studio website with a hilarious alien who goes through his factory as you scroll down. Here you’ll see a creative combination of polygonal and fat illustration to create a fun cartoon look. 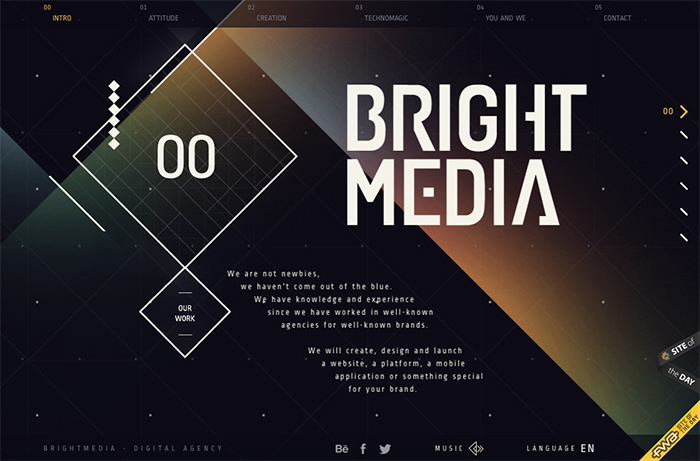 It is a beautiful modern website taken from a cosmic theme. It features semi-transparent gradient blocks, gorgeous line graphics, and delicate typography which follows you when you move from one section to another. 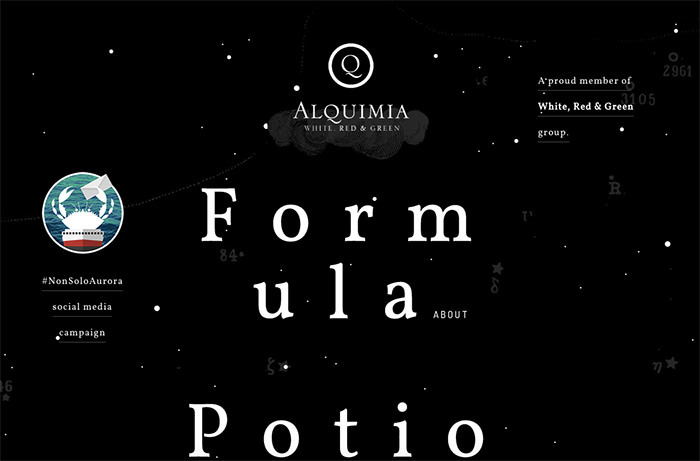 Alquimia is a small online portfolio including some awesome effects, clean typography, and elegantly executed cosmos theme. The rest of the design is based on clean light backdrops, lots of white space and particular attention to the copy. 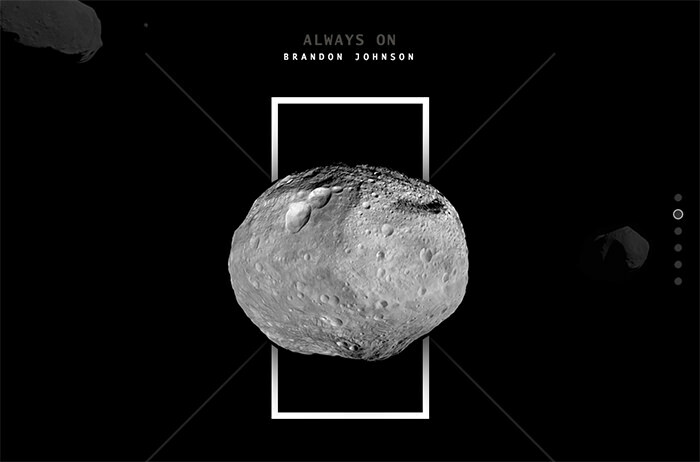 A website about Brandon Jhonson (a planetary scientist) that leverages a super-cool photo background for his website. Here using of space theme looks like the most appropriate solution, because Brandon’s profession is truly connected to space. 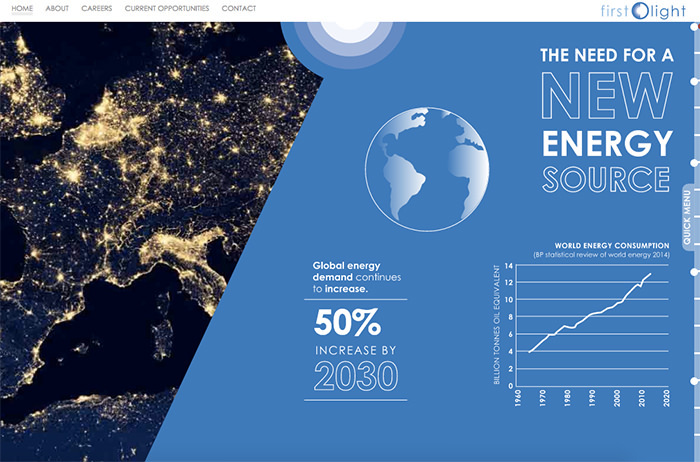 First Light Fusion is a website about a new source of energy for our planet. As the website is all about saving the Earth, the blue planet sets the feel and tone. Neat typography and highly interactive effects create a spectacular impression. It is a website about the Tomas Bata university. The homepage encourages users to dive deeper inside the project through several accents. Awesome geometric fonts and a space theme adds an element of mystery. 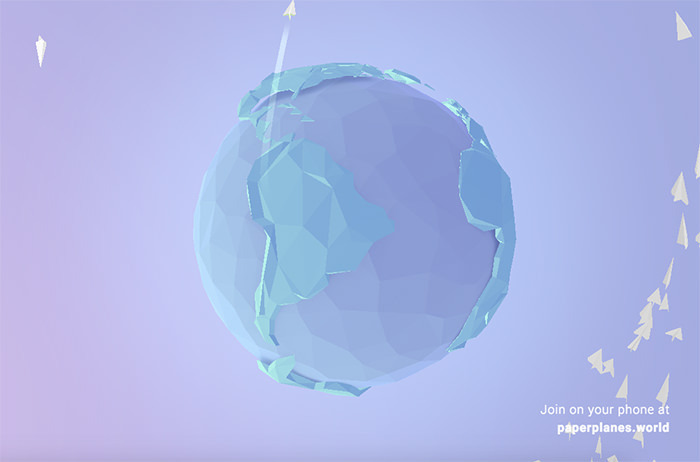 Catch and throw Paper Planes using the app with one another around the world – a simple concept using the power of the web and smartphones to create an instant connection to one another. The art project is a dedication to all space pioneers and researchers of space. They have tried to show the most important events in the history of space exploration. Just make sure to turn on the sound to hear the astronauts. 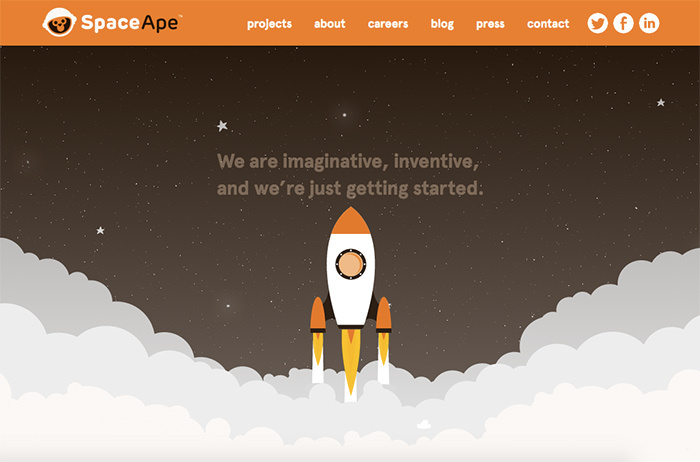 Space Ape is a parallax website with cosmos theme with motto ‘sky is not the limit’. Go through their sections to see the animations and effects in all their beauty.